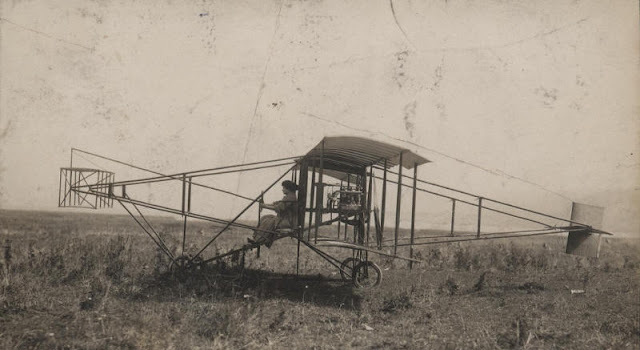 Julia Clark in her Exhibition Plane, 1911. Miss Clark was the third woman to receive a pilot's license. She was the first female pilot to die in an air crash in the United States in 1912. Over the past year, state and federal officials have been talking about how to improve management of the annual wolf hunt on Prince of Wales Island, especially after an apparent decline in wolf numbers. A 40-plus-page report was released Thursday, detailing some of the concerns regarding wolves on POW, and recommendations for moving forward in the future. One concern is deer habitat – because deer are the primary food source for wolves – and how timber harvest could affect the deer population. Recommendations include managing tree stands to maximize deer forage; staggering timber harvests so there’s a variety of stand ages; and incorporating unharvested pathways between elevations. Other recommendations for reducing wolf mortality include establishing a science-based management strategy and maintaining flexibility in the annual harvest quotas. The study also recommends protecting documented wolf dens. Once again, irresponsible spending by state lawmakers has left us with a multibillion-dollar budget deficit. This latest crisis underscores the need to tighten the state’s “spending cap” on annual expenditures, and a bill recently passed in the Alaska Senate is a good start. Senate Bill 26 imposes a statutory spending cap of $4.1 billion in general fund appropriations each year, which would grow with inflation. A statutory cap — which can ultimately be set aside during the budget process — would be less effective than a constitutional limit, but it is a start. Whatever form it takes, a revised spending cap is desperately needed to put our fiscal house in order over the coming years. Alaskans have been supportive of the idea for more than three decades. When the state’s current constitutional spending cap was put before voters in 1982, 61 percent voted in support. When given the option to overturn the limitation four years later, the margin in favor of the spending cap was even greater: 71 percent to 29 percent. More recently, a 2015 poll by the Alaska State Chamber of Commerce found a majority of the state remains in favor of spending caps. Regrettably, the constitutional spending limit that voters approved in the 80s has proven to be woefully insufficient to address the budgetary challenges of 2017. Simply put, it is set too high to be useful. Under the current provision, which excludes certain types of government funds, the limit for this year’s budget is $10.1 billion — more than double the budget of $4.7 billion. As we look for ways to cover this year’s deficit, our focus should be on cutting wasteful and unnecessary expenditures. Legislators have done an admirable job of reducing spending over the last few years, but plenty of bloat remains to be cut. The facts speak for themselves. Alaska has one of the biggest public sectors in the country, second only to Wyoming. 24.2 percent of Alaska workers are employed by the public sector (federal, state and local), compared to a national rate of 15.5 percent. In 2015, the state government spent more than $18,000 per resident, far more than any other state in the country and more than triple the national average, which is below $6,000. Sweden Passes ban on wearing ski masks and covering your face at sporting events. Swedish fans bypass the ban by showing up wearing Burqas, waving banners saying "Thanks for the loophole". Since then, the idea of ​​a mask ban at sporting events has been under discussion. And on March 1 this year, Act came into force . - There are no reasonable grounds to disguise themselves when going to sporting events, said Interior Minister Anders Ygeman (S) to Swedish Radio then. "The prohibition does not apply to that covering the face for religious reasons" . The formulation took a number of AIK-supporters that when they on Sunday went to the Friends Arena for the opening game against Hacken. They came namely there - the niqab. "AIK's ultras mean well, now masks we use religious reasons. Freedom of ultras is the ultimate goal, thanks Ygeman the loophole. " As Sports sheet reaches Anders Ygeman only he laughs off the event. American teens have no problem with gender equality in the workplace, but home life is a different story. A new report released today (March 31) by the Council on Contemporary Families (CCF) finds that modern high school seniors increasingly believe that everyone is better off if the man is the achiever outside the home while the woman takes care of domestic duties. In 1992, 58 percent of high school seniors disagreed that male-breadwinner arrangements were best. By 2014, the most recent year that survey data are available, that number had slipped to 42 percent. "It's been a steady reversal," said study co-author Joanna Pepin, a doctoral candidate in sociology at the University of Maryland. Much of the declining interest in gender egalitarianism at home came from men in the 18-to-25-year-old surveys, Fate-Dixon said. That wasn't the case for the high school seniors, though: Men have always been a bit less supportive than women of egalitarianism, but that gap hasn't grown, Pepin and co-author David Cotter of Union College in New York reported. Likewise, black youth have always been more egalitarian than white youth, but support has declined similarly among all races. Pepin and Cotter suspect that young millennials have landed on an approach to gender that they call "egalitarian essentialism." The schism between egalitarianism in public life and traditionalism in private seems to suggest that youth believe men and women should be treated equally, but that their essential natures are inherently different from one another, Pepin said. Carlson's earlier research has also found that while many couples would prefer egalitarian relationships, a lot of working-class couples are seeing declines in men's employment opportunities and are being forced into female-breadwinner roles that they don't necessarily prefer. "We're finding that families are having a hard time adapting to that," Carlson said. Pepin agreed that lack of family support is "definitely not helping" to change gender attitudes. But economic pressure and workplace problems probably don't explain the whole decline in support of egalitarianism, she said. If working-class youth see their fathers struggling to pay the bills alone, she said, they might be more likely to value wages brought in by their mothers. Also, egalitarian relationships are valued by couples (a 2016 Pew Research Survey found that 56 percent say sharing chores is important to a successful marriage), and sociologists have found that egalitarian couples have the highest relationship satisfaction, Pepin said. "Even though it's hard [to be egalitarian], it's getting easier," she said. "That is hard to reconcile" with backsliding egalitarianism among youth.